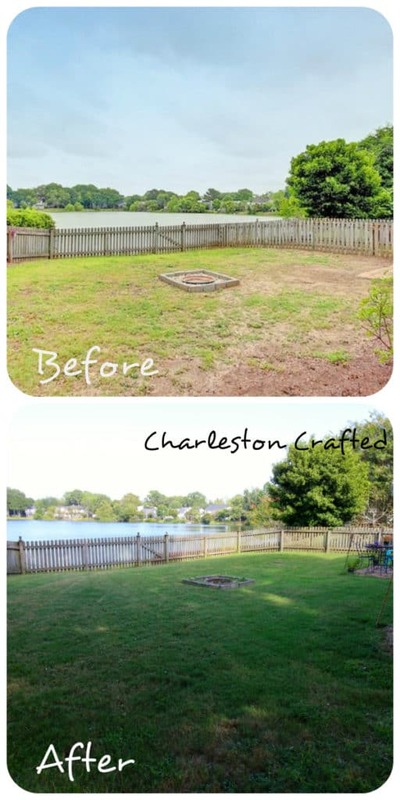 Wondering how to grow grass? 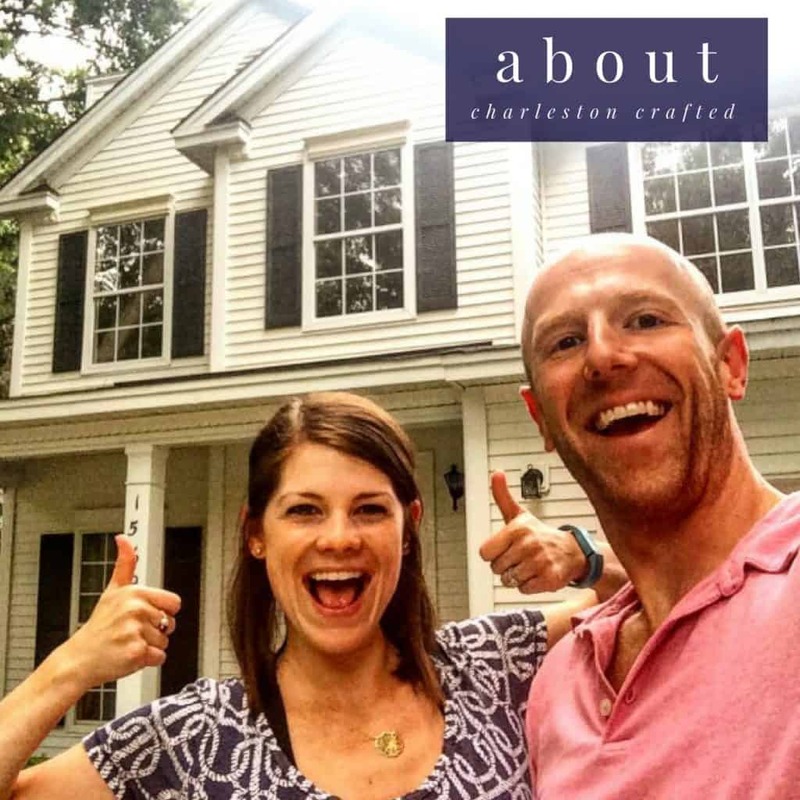 Here is what we learned from a ton of trial and error! We’ve been in our house for a year now and when we moved in, there was very little grass anywhere. I’m talking like 40% grass in the backyard and 30% grass in the front yard. Our backyard is extreme sun from 7 a.m. to 3 p.m. and our front yard is all shade during that time and then mostly shade from 3 p.m. until sunset because all of the oaks. It’s been a long road, but here’s some of what I’ve learned about growing grass in the last year and how it might help you. Click here to pin this project to your Pinterest boards! Everyone I know told me that there was no way I would be able to grow grass in the sandy soil, especially with the back being so sunny and the front being so shaded. Getting sod costs $$$$$ and I wasn’t willing to do it. So I tried these things and some tender love and care and it has worked. Here’s what I did to grow grass from seed! Fertilize- When I first moved in, the guy at Lowe’s told me to do weed and feed first. He said you never know what’s still in there that might be dormant. I spread that first. Didn’t seem to kill a lot of weeds, but I think that this provided a good boost to the grass that was there and helped with the soil. Water- Watering regularly is key. The grass just needs love. Especially here in Charleston, we’ll go weeks of no rain and 93 degree days in the summer. This will just burn up your grass and kill what you have going. Make sure you are soaking your yard in the summer at least every other day through watering or rain. Mow High- Setting your mower to the highest possible setting will keep your grass full and luscious. This will mean that you will likely need to mow your grass once per week, but you would probably be doing that anyways. Walking through our neighborhood, I see people cutting their grass super low and their yards are basically all dirt now. When you cut low, the grass burns up easier because it doesn’t have any thickness to protect it from the sun. By not giving your grass time to grow big and strong, it will be dwarfed. Weed- We get a lot of strange weeds in our yard, but I go through and pull as much as I can. There was one weekend where I spend two hours in the backyard pulling this one type of weed that was spreading. Each clump had a single root area but the vines were spreading. These weeds were blocking the grass from being able to grow in those areas. As soon as I pulled them up, the grass filled in those areas quickly. Plant Appropriate Seed- not all seed is created equal. I decided to focus on the backyard first and threw down some seed/fertilizer/soil mix. It’s crap. Don’t use it. Find a bag that has the highest percentage of actual seed in it and use that. Spread it down and water and it will help fill in your holes. But make sure you use a sunny mix or a shade mix depending on what you have. If you don’t know how to plant grass seed, just follow the directions on the bag and repeat the above steps to maintain and help it grow. Also, I learned how easy it is to transplant grass around the yard. 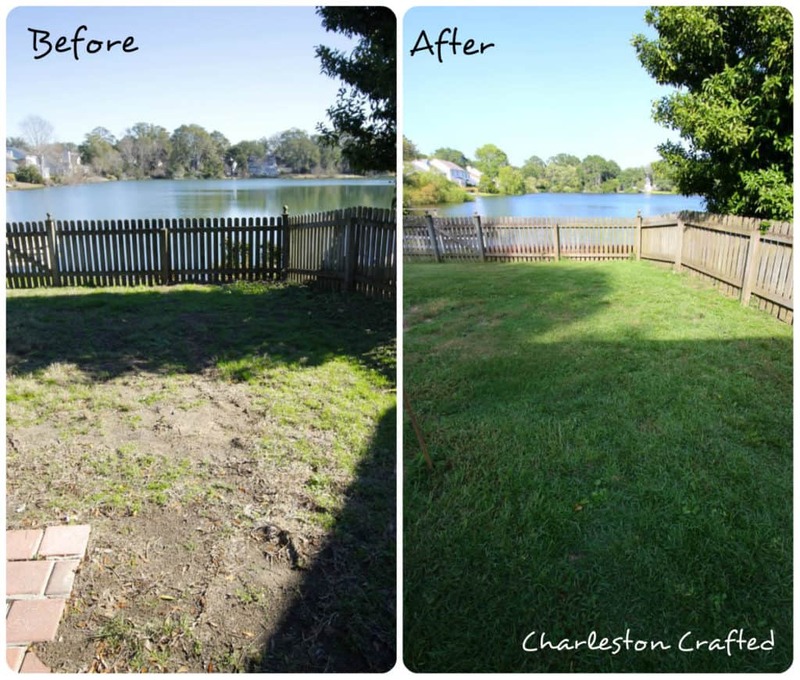 In the last year, we’ve done all of these tricks and our backyard has gone from 40% grass to 97% grass with only two very small bare patches that are now filling in. Our front yard is still only about 70% grass, but I haven’t focused on that area as much. However, I just planted dense shade seed a couple weeks ago and it is already sprouting several inches in the patches. I expect pretty full coverage by winter. Between working on the grass, plus removing things like the dog run and the scraggly bushes and building a garden, our yard is looking tremendous. 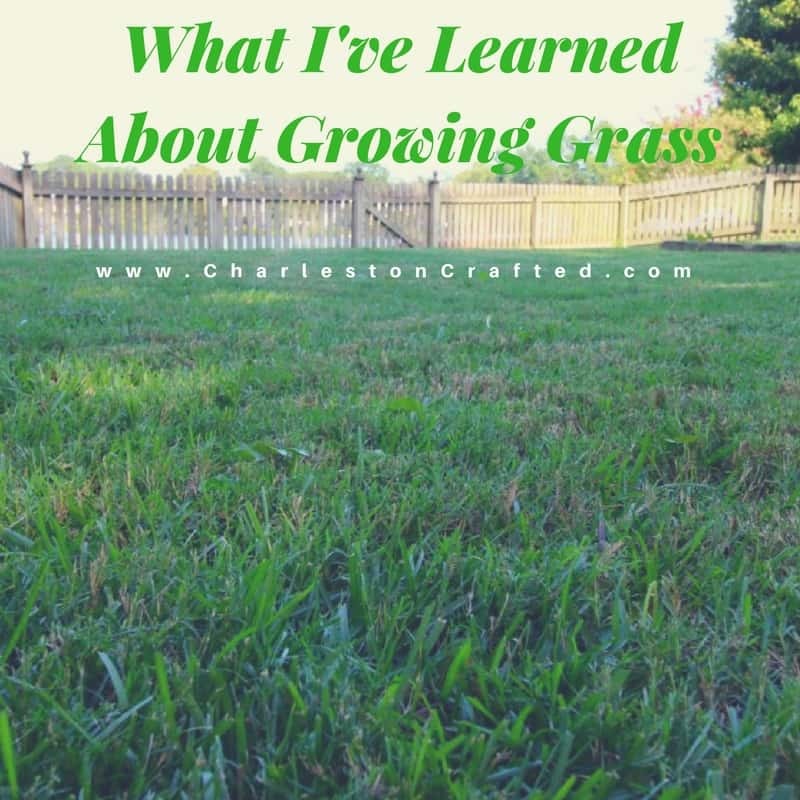 Hopefully what I’ve learned about growing grass can help you as you work on your hard. Don’t give up immediately, you can bring it back! « Can you spray paint a toilet flush handle?